Looking for something unique to leave an impression on your customer? It's a safe bet that our casino themed chocolates will do the trick. 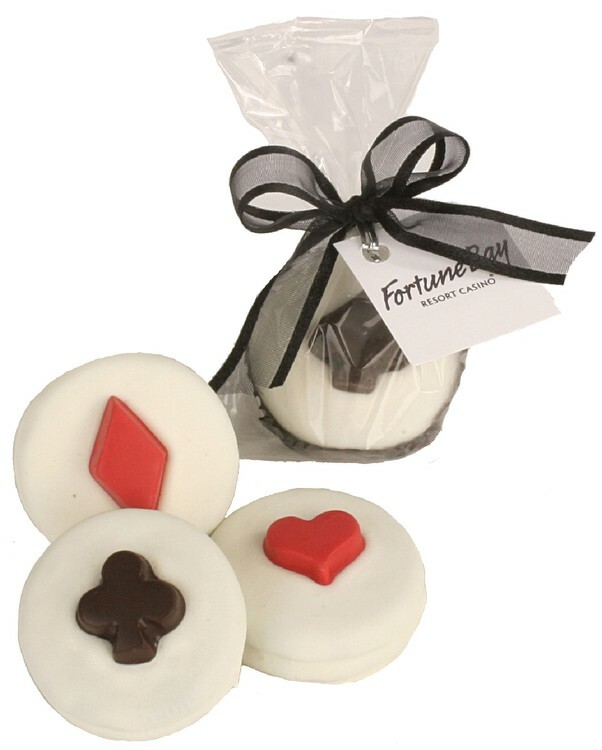 Make your own luck when you give away these delicious molded, decorated chocolates. Each Oreo™ cookie comes with your logo printed on a custom 4CP hang tag.